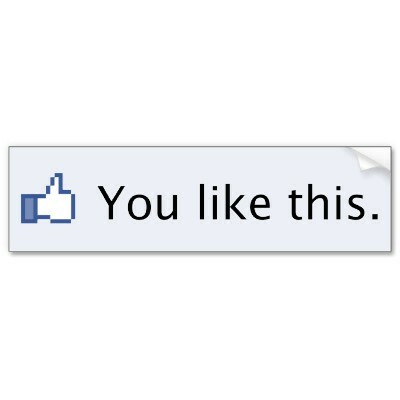 Either you “like” Facebook. Or you don’t. 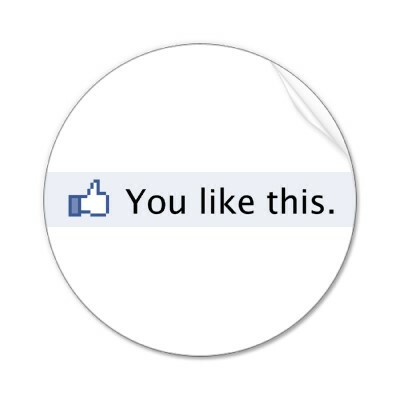 I’ve encountered a digital divide of sorts this week — a big one for Facebook with the announcement of Facebook’s Like, a tool for connecting all Web pages to the social networking platform. On the other, there are those who don’t use Facebook, but make key decisions regarding their organization’s use of it. A PR contact wondered what to do because a top exec wanted to delete the organization’s Facebook page after seeing “inappropriate” photos on a fan’s personal page. I responded that it’s not the organization who is posting these photos; it’s the fan’s personal page. My wife suggested that Facebook may have a feature for hiding fans, or friends, or whatever the latest term may be. All three of us wondered who has the time to snoop at all of their page’s fans’ personal photos anyway. I’m connected with so many people who have made Facebook a part of their daily routine that I forget that lots of folks don’t like it — mainly because of privacy concerns and time constraints. I have to keep this in mind while preparing for talks such as those I’ll give soon to groups such as government Information Systems leaders from across Ohio and the Ohio Job and Family Services Directors Association. I’ll be talking with people who could spend a lunchtime conversing about Facebook Like — and those who could occupy an hour asking questions about how to do a status update or comment on one. To cover my bases, I created a handout with a paragraph describing each of the major social networking platforms on one side. The other gives the latest statistics showing how many people use them — and the tremendous growth of the past several years. What has been your experience with the Facebook digital divide? Any thoughts on this topic? As I heard three public relations professionals share their experiences with crisis communication at a Cincinnati PRSA luncheon this week, a slogan from the Boy Scouts popped into my head: Be Prepared! Debra DeCourcy of Fifth Third Bank, Meghan Glynn of Kroger and Rick Miller (PR pro with decades of agency experience) told about handling everything from bank bailouts to jet crashes to immigration raids. Although my work has primarily involved projects and campaigns, I could relate. At times, I’ve been thrust into crisis situations ranging from a city councilman being involved in a child abuse case to a controversial contract revocation that sparked charges of racism. Calls came in from TV, radio and print reporters on tight deadlines. Internal crisis team meetings were held to gather facts, craft messages, determine spokespersons… In one situation, the “meeting” took place during frantic phone calls on a Sunday. I soon found myself on camera with my wife and daughter nearby waiting to go on a family outing. At those moments, I was really grateful that our organization had a crisis communication process in place. We didn’t really have to rehearse it because the nature of our business — large government social services agency with huge programs, including child protection — lends itself to crisis situations. I also was glad to be able to recall how other PRSA members had successfully handled their crisis situations. At this week’s luncheon, all three speakers spoke about the importance of already having build good relationships with the media. They had built an atmosphere of trust and respect — relationships strong enough to allow for give-and-take at critical junctures. They could question a journalist’s “facts” and supply relevant information that would allow for a fair report. They also spoke about that feeling that the whole world is watching your organization get hammered in the press — that warped perspective that your problems are bigger than everyone else’s, that everyone is talking about you, when — in reality — you are just one of the headlines. You’re just hyper-aware of the situation. They talked about getting moral support from family, colleagues and others. One even calls her college professors, years after graduating from school. They stressed the importance of keeping your calm — of not blurting out what would make you feel good, but would make your organization look bad. They shared tips such as having a dark suit in a closet at work for those inevitable casual Fridays when a crisis flares up — and making backup babysitting plans in advance, so you’re not scrambling to have somebody watch the kids when you need to manage the crisis at hand. The spoke about the importance of communicating with employees, so they don’t rely on the media filter as their sole source of information. Hopefully, you gleaned some helpful ideas from these thoughts and experiences. 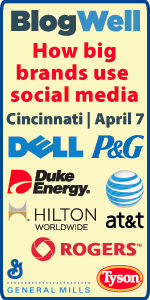 You can also visit the @CincinnatiPRSA and @MikeBoehmer Twitter streams from April 14 at noon for more notes. I would love to hear your experiences with crisis communications in the comments section. We can all learn from each other. It will help us Be Prepared and (another Boy Scout slogan) Do a Good Turn Daily! Hope you got something out of the notes that I live-blogged from Wednesday’s BlogWell Cincinnati — an afternoon packed with 25-minute presentations/Q&A’s with those responsible for social media at some of the world’s most-recongized brands. It was so cool hearing first-hand from people who — like me — spend a good portion of their work days connecting with key audiences via Twitter, Facebook, YouTube, WordPress and the like. I could really relate to the guy from Tyson who talked about having his laptop open at night in the TV room and pecking away at his iPhone (for me, a Droid) in spare moments!!! It was affirming for me to learn that social media pros at Hilton, Tyson, Duke Energy and Dell encounter the same opportunities and challenges that I do at the Hamilton County Department of Job and Family Services. And we’ve come up with come common solutions. Second, you must change your daily work routines to open up time to engage your audiences. 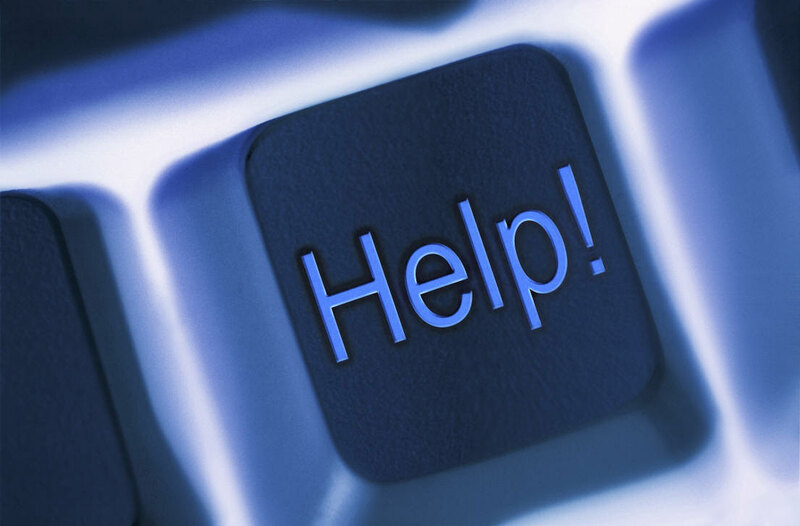 It’s vital to respond quickly to customer concerns/complaints. It’s equally important to thank those who retweet your messages, post positive comments on Facebook or YouTube, offer ideas via blog comments… Presenters shared time-management techniques and prioritization tips that allow them to cultivate their social media gardens. Third, you can’t be afraid to innovate and test your ideas. We’re still in the pioneering period of this vast frontier. There are countless creative ideas for humanizing your organization and building trust with those who count. Don’t over-think things. Take action. Monitor/measure. Adjust. I’m still absorbing all that was shared in the info-packed afternoon. If you were there, I would love to hear your top-of-mind thoughts. If not, any comments on what I said above or blogged a few days ago would be greatly appreciated! Social media: We’re all in this together. 4:31 – Lionel explains how Dell is changing its listening and engaging strategy. Has been doing since 2006. Is becoming more sophisticated. 4:38 – Lionel says deal is heading to a model with three buckets — brand/reputation discussions, social media responder team, segment SME discussions. Brand rep – Twitter, YouTube, Facebook. Soc Med – Twitter, YouTube, Facebook, flickr. Segment – LinkedIn. 4:40 – Lionel says listening team working with Radian6 find conversations every day and segment them out. Parse data into buckets. Have a pilot on consumer side that completed. Starting one on large enterprise side. Concept: Core people in business unit who only want to see conversations relevant to be a part of. Q: How much effort put into managing forums? Q: Experience with getting traction with experts, selling them on the value of getting involved? 3:22 – Andy says law says you must create social media policies and training. 3:26 – Andy shares 10 magic words. I work for X and this is my personal opinion. 3:27 – Andy gives three deeper things to disclose: True identity, who are you? Were you paid? Is it an honest opinion based on a real experience? 3:30 – Andy: Create a policy. Train your company. Make part of your standard HR. Not liable for rogue employees if have policy and training. Copy of toolkit on www.socialmedia.org. Series of checklists. 3:34 – Andy: You the brand are 100 percent for any improper practices, such as unethical intern at agency. 2:10 – Ed explains how much things have changed since his first BlogWell a year ago. Tyson uses for cause branding, not cause marketing. 100 communities with operations. 2:11 – Ed: Hunger Relief for 10 years. Donate 8-10 million pounds of food per year. 2:12 — Ed: 107,000 employees. Want to engage in productive and visible ways. Makes them feel good about the company. Another step toward being more authentically involved; humanizing the brand. 2:13 — Ed: Social media tools help build awareness about hunger. Is more than a campaign for us. Social media shows we’re in it for the long run. Archives it. 2:14 — Ed: Publicity focused at start. Found inspiring people, lots in community. We could facilitate online connections. Can’t buy your way into the community. Must become engaged. 2:15 — Ed: 2007 started a blog. Snuck in with moderated comments. Slipped past lawyers. Expanded awareness of issue. Expanded community online. Community includes national organizations, lawmakers, local food banks and agencies. 2:17 — Ed: Created Hunger All Stars. Share stories online. Example: Phobe Russell, cute kid, raised $20,000 for San Francisco Food Bank. Done to food bank that nominates Hunger All Star. 2:18 — Ed: Social media informs and validates traditional media. 2:19 — Ed: Live blog a lot of events. Use flip camera and YouTube showing employees raising money. 2:20 — Ed: Collecting Twitter handles for all in hunger community. Brought in non-profit social media expert to do workshop. 2:21 — Ed: Digital food drive on WeCanEndThis. Heavy hitters in social media involved. Guest bloggers to talk about and create awareness about issue. 2:22 — Ed: Post most images on Flickr, use YouTube, started @TysonFoods Twitter account to point to other things online. 2:23 — Ed: Started using Google Maps to plot truckload donations. 2:24 — Ed: Wasn’t high on Facebook until 83-year-old mother signed up. Started six weeks ago. 2:25 — Ed: Trying to figure out how to engage people. Lot not aware of hunger in their own communities. Worked with Austin Food Bank to share statistics. Offered 100-pound donation for every blog comment. Took four hours to get 350 comments. Overwhelmingly positive. 2,000 comments in Bay area. 2:26 — Ed: Lot of this activity does a good job of driving other PR activities. 2:27 — Ed: Measure site traffic, monitor blog posts and Twitter and Facebook activity. Provides an archive and credibility. Helps with reputation and relationships, especially with online influencers. 2:29 — Ed: Relationships and reputations will transcend and survive technology changes. Basis: Building community that will last. Q: Daniel Lally asks what challenges faced getting senior management to focus on as core issue for social media. A: Not hard at all. Looked a lot of issues and causes. Natural because is a food company. A: Broad spectrum. All the way to those who think what we do is morally wrong. Won’t engage with them much. Look at if have an opportunity to persuade by telling your story – if you can effect the way believe. A: Get positive comments from vegetarians. A: Do a lot of this in my spare time. iPhone, laptop…. Work with an agency. Had been cynical about agencies. Agency helps with content and integrating with traditional media. Q: How have you worked with bloggers? A: Not a lot of active outreach. Had a lot of bloggers come to us. Always eager to work with them. Not have a blog pitching strategy. Q: Is this the primary social media strategy at Tyson? A: It is the primary social media strategy at this point. Is a safe place to start. Working with food services group on creating a social media strategy, a b-to-b strategy. Consumer products does blogger outreach. Got some groups interested. 1:30 – Shannon explains guests, hotels are talking. Want to lead the way. 3,500 hotels in 81 countries. 1:32 – Shannon tells how Hilton put together committee and Altimeter Group to develop strategies, best practices, tools to roll out. 1:34 – Shannon: Trying to put together standards. 1:34 – Shannon: Rolled out strategy last week. Had found inconsistent. Best practices not being shared. 1:35 — Shannon::All brands and departments served on Hilton Worldwide Social Media Committee. 1:40 — Shannon:: Measurement important. Maestro tool allows to measure what guests are saying and respond. 1:43 — Shannon::Research. Maestro data. Industry specific. 1:44 — Shannon::Socialgraphics. Only 9 percent editing info. 1 percent producing on YouTube etc. 1:46 — Shannon::Select sites. Long way to go from a global perspective. 1:47 — Shannon::Provided a brand checklist. Luxury different from other services. 1:48 — Shannon::Using Yammer internally. Share research. Share questions. 1:49 — Shannon::Rolled out last week. Working on online training modules. Want templates. http://www.Doubletree.com/socialmedia really good job so far. Q: Phil from Domino’s Pizza. How build? A: Symphony is brand of tool. Not in-house. A: Started with wiki. Lot of brands already were on Yammer. Q: KPI’s at enterprise level? A: Want to. Is Phase 2. 12:37 p.m. — Seated here in a side conference room at the Duke Energy Center. Three technical people and two speakers ready to go. Organizers say about 200 people have signed up for the event. Said hello to Krista Neher and Kevin Dugan — two of Cincinnati’s top social media experts — and Margo Rose, a HR specialist who has embraced social media. Have been trying out my Droid, too. (Uploading photos to Twitter and Facebook.) Today, I get the honor of covering Track 2 at BlogWell Cincinnati at the Duke Energy Convention Center! We’ll learn how big brands are using social media. How Hilton Worldwide implemented a global social media strategy using a committee approach, coordinating across 10 brands of more than 3,500 hotels in 81 countries. How Tyson Foods uses social media to build community around the issue of hunger. How Duke Energy manages real-time response during weather emergencies and leverages downtime to build awareness. How Dell is structuring its strategy and organization to take its social media outreach to the next level. You've got to have the right tools to build a social media presence. Excuse me if this post isn’t clear. I’m writing at 2:01 a.m., very early on a Saturday morning/night. I’ve added a new tool to my social media arsenal — a Droid from Verizon. Bought the smart phone just before our local store closed for the evening. An ambitious salesman was kind enough to stay late and help get my Droid ready for action, as well as the BlackBerry Curve that my wife inherited from me. 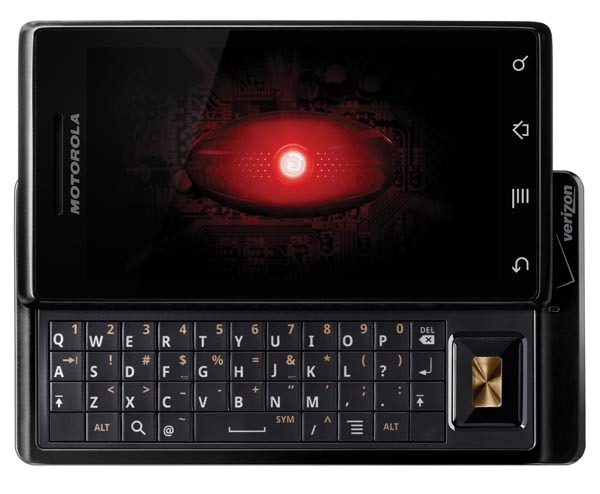 I woke up awhile ago with a bit of anxiety about moving from BlackBerry to Droid. The Curve has served me well the past 16 months, allowing me to tweet text, photos and live video from events such as the Greater Cincinnati Chamber of Commerce’s Bold Fusion, PRSA luncheons, Cincinnati Social Media events, New Media Cincinnati meetups… It brought me into the world of texting and frequent e-mail checking. It’s been a central element in my social media work, perhaps more important than my beloved laptop! It’s definitely more vital than the flip camera that I’ve yet to really use. Anyway, I’m feeling the same way that I did when I bought the Curve. Is it really worth the $30-per-month data charge? (Now, we’ve got a second $30 charge for my wife, too.) Will I look like a bozo trying to learn how to make this thing work? Will I neglect healthy practices such as exercise — and sleep? Should I have stuck with the BlackBerry? I already miss the raised keys. Then, the rational side kicks in: This is an investment. If I really want to do social media properly, I need the tools. I need to stay on top of this stuff. Whew. I feel much better now. Maybe I will get some sleep after all. What hardware do you find essential in your social media work? I’d love to hear your tales of triumph.